Shimby has participated in the following projects in a number of different roles including project manager, design consultant and measurement and research technician. Many of these projects were executed during his time at Kirkegaard Associates. 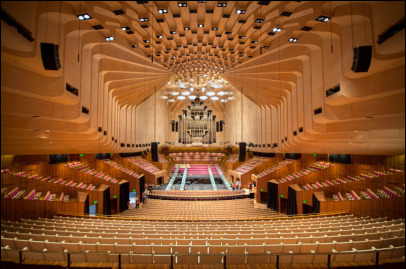 Shimby participated in an in-depth study of the Sydney Concert Hall's acoustics to determine how the natural sound of the room could be improved with minimal impact on the historic architecture of the room's interior. Extensive insitu testing, measurement and computer modeling were performed to develop solutions that resulted in much improved sound for audience members and performers alike. Shimby worked with Anne Beha Architects and was project manager and lead acoustician for the University of Chicago's new Saieh Hall of Economics. 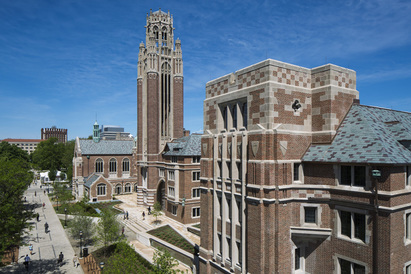 The first phase of the project involved the conversion of the historic Chicago Theological Seminary into a modern education building with large lecture halls and public gathering spaces. The second phase was a new construction building which added additional office, classroom and lecture spaces to the facility. 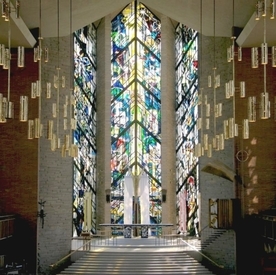 Shimby performed measurements and computer modeling to assess the existing acoustics of the Valparaiso Chapel. With this information he developed finish and sound isolation recommendations to complement a new sound system being specified by Kirkegaard Associates. 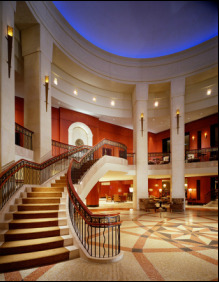 Shimby performed a comprehensive vibration propagation survey of guest accommodations to determine how extensive foundation repair would impact background noise levels throughout the historic hotel. 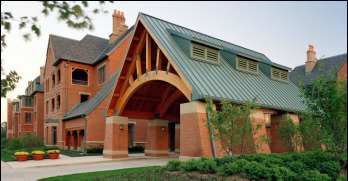 The Garlands is an independent living retirement community in Barrington, IL outside Chicago. Shimby designed the interior acoustics of communal gathering spaces and specified sound isolation and noise control solutions for individual residential units.